On Friday, like many of you, I got an email from United telling me about upcoming changes to their MileagePlus® program. Since they released this information on a Friday afternoon, you may be thinking this is not good news. You would be right, for the most part. Just in time for the holiday season, United is removing their award chart. For flights on November 15, 2019 or later, the current rules for how much an award flight costs will be flexible. That is, an award flight will cost whatever they say it costs for that date on that route. So for popular routes for holiday travel you can expect higher prices – in some cases much higher. Award flights within the US and Canada that currently price at 10K to 12.5K miles may price lower sometimes. This pricing is already available for some routes. Effective November 15 the close-in booking fee of $75 will be eliminated if you book a flight within 21 days of departure. Previously this fee was waived only for certain elite members. If you are an elite member or hold one of the Chase United credit cards there are still no blackout dates for award travel – though of course you might not like the price that is charged. For now, the Star Alliance award chart is not changing. For now. It’s very disappointing to see United following Delta’s lead with this dynamic pricing. I would bet that American is not far behind. While it’s nice that the close-in fee is being eliminated, it’s not something I’ve ever had to pay as I typically book many months in advance. This is going to make award trip planning more challenging as you may see an award price for X-miles one day, save up enough for that, only to find it now costs Y-miles when you’re ready to book. I’m just a lowly Silver elite this year and unless I take a business trip this year am unlikely to requalify. I chose United because it’s more reliable than American and I could do more with my miles than I could with Delta miles. Yet they’ve taken that advantage away. The United website has a page with more detail. 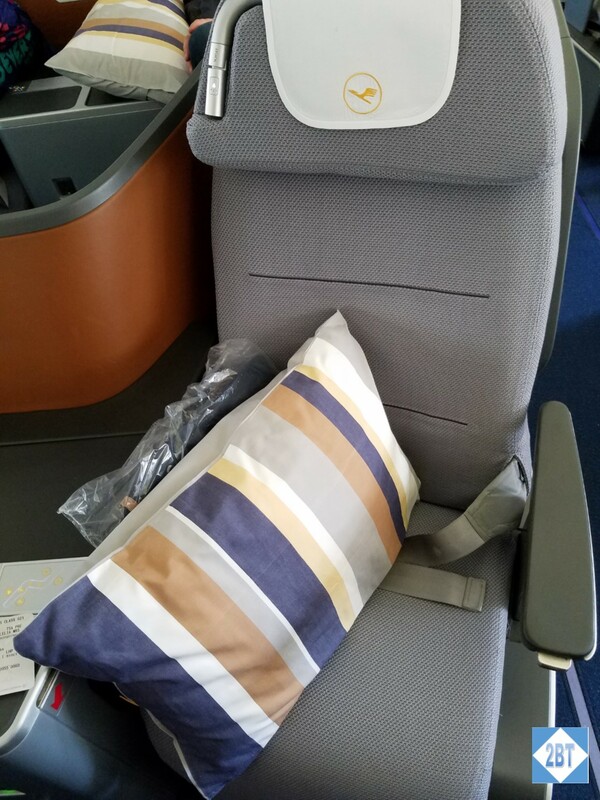 Though I usually do these trip reports in sequential order as to the activities, I skipped over the flight from Chicago to Munich as it was on a B777 configured in the old 2-4-2 layout that we experienced on our flight from Chicago to Brussels a few years ago. So I’ve included the food options below but am not providing a detailed review. Since my reservations were made only 10 days before, I was not surprised to find that the only available BusinessFirst seats were middle seats in the middle section. However, when I checked in 24 hours in advance I was thrilled to see it was the new 1-2-1 layout. But I was unable to select a seat. I was fine with that since now it no longer mattered where I sat. Later in the day, however, the seat map later reverted to the old 2-4-2 as I assume they had changed which aircraft would be servicing this flight. The good news was that now I had been assigned an aisle seat though it was still in the center section. On the return, we did indeed finally get the 1-2-1 layout with the new Polaris amenities so I’ve included photos of that seat below. I did not include a review of one of the Lufthansa business class lounges in Munich as it was quite busy and there really wasn’t a way to take photos without people in it. I had a very early start to the day for my return trip. My flight from Munich to Chicago departed at 11:25 AM so I wanted to be sure I had plenty of time to connect – and even to catch a backup flight should my original flight get canceled. So I was booked on a 6:20 AM flight from the Cologne/Bonn airport to Munich. I booked a ride with Suntransfers and my only complaint was that they were non-negotiable as to pickup time and that was at 3:55 AM. At that time of day, with no traffic and it’s a short drive anyway, I was at the airport around 4:30 AM and the Lufthansa ticket counter didn’t even open until 5 AM so I had to stand there for half an hour with my bags. Ah well, certainly better than being late. CGN airport is quite small. In fact, on their website, the motto is: so simple. There are two terminals. Terminal 1 handles Lufthansa, Germanwings, Austrian and Star Alliance partners and Terminal 2 handles all other airlines. 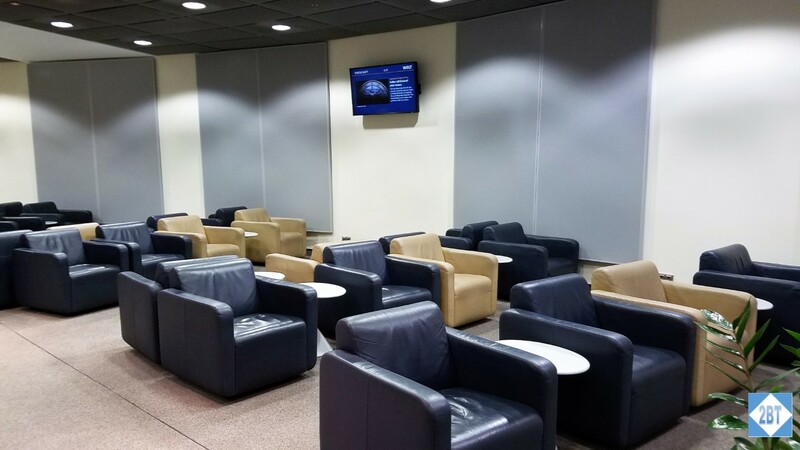 Each Terminal has a lounge. In T2 it’s a generic business lounge for all the airlines while in T1 it’s a Lufthansa-branded lounge. As the airport is small, so is the lounge. However with Lufthansa being the dominant carrier I can see that it might get crowded with elite travelers gaining access even if they’re on an economy ticket. It opens at 5:30 AM so I had to wait a bit for entry. The lounge is circular in shape and one side of the room has the comfortable lounging chairs while the other side has tables and chairs for dining. We departed from gate 56, which was a 3-minute walk from my seat in the ANA Suites lounge. It was just a brief escalator ride down one level and a very short walk to the gate. Boarding was scheduled to begin at 10:45 AM so I left the lounge at 10:30 AM just to have a look around the gate area. We had a nice nose-on view of our aircraft but for some reason the photo I tried to take didn’t work. About 10:40 AM an announcement was made indicating that boarding would begin soon. I loved how civilized it was, with separate boarding lanes for First (and Star Alliance Gold), Business Class (and Star Alliance Silver) and Economy. There were about 5-6 (really young looking!) agents in the area working the flight and monitors overhead let everyone know they needed not only their boarding passes, but also their passports open to the photo page. Once pre-boarding of one wheelchair and one family with small children was complete, precisely at 10:45, those of us in First Class were allowed to board. I was a bit amused that after passing the gate agents, we turned a corner to reach the jet bridge and there were another half-dozen gate agents – and even some ramp/maintenance workers – and they all bowed to us as we walked through. Once on the jet bridge, two doors were being used for boarding – 1L for First and 2L for everyone else. It was one time I didn’t mind turning right after boarding! I was promptly greeted and escorted to my seat, 2A. The Flight Attendant, Mami, was just lovely and informed me that since only 3 of the 8 First Class seats were occupied, she would make my bed across the aisle in 2D. Wow, two suites just for me! Neither 1A nor 1D were occupied so I had the whole left side of the plane to myself. 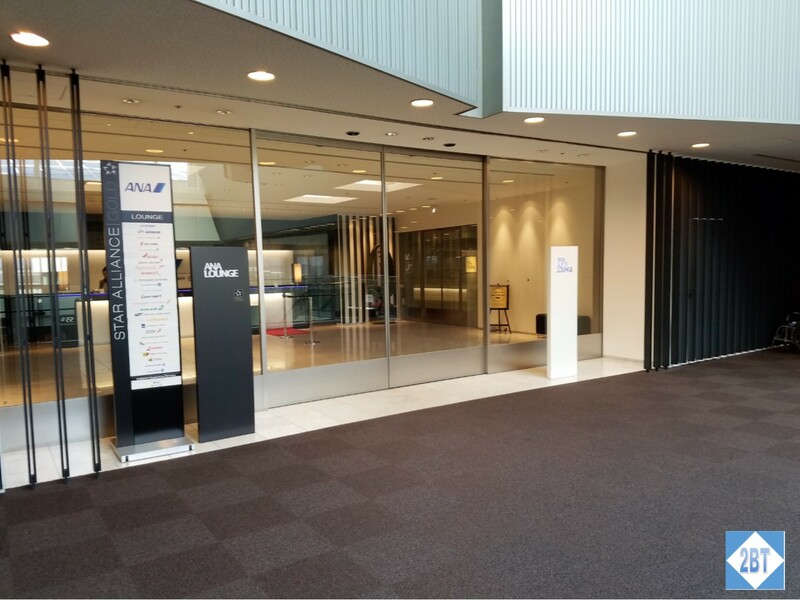 Since Narita Airport is so far from downtown Tokyo (over an hour’s drive on a good day) and traffic is always a question mark, Viking arranged for me to leave the hotel at 6:30 AM for my 11:15 AM flight. As it turned out, traffic was light and we made very good time. Another couple from our cruise was in the same van but they were flying KLM so there were two Viking assistants there to meet us at the airport. One took the KLM couple to the south check-in point while mine loaded my bags on a cart and guided me to the north check-in. As I was in ANA First, we walked back to the Z check-in area which is a private area for ANA, United and other airlines. There were about 4 ANA reps inside and I was the only passenger at that point so it felt a little strange (but nice!) to be doted on so much. Check-in was very efficient and I was directed to the dedicated security lane, the one that can only be accessed directly from the First Class check-in area. Naturally that process was speedy as well. Then it was down the escalator to Immigration, where, of course, I picked the line that didn’t move. But I had plenty of time and once the one person holding up the line finally got through, our line moved efficiently as well. I turned left and walked past a number of shops and one gate before coming to the escalator leading to the airline lounges. My return flight left Budapest at 6:30 AM. 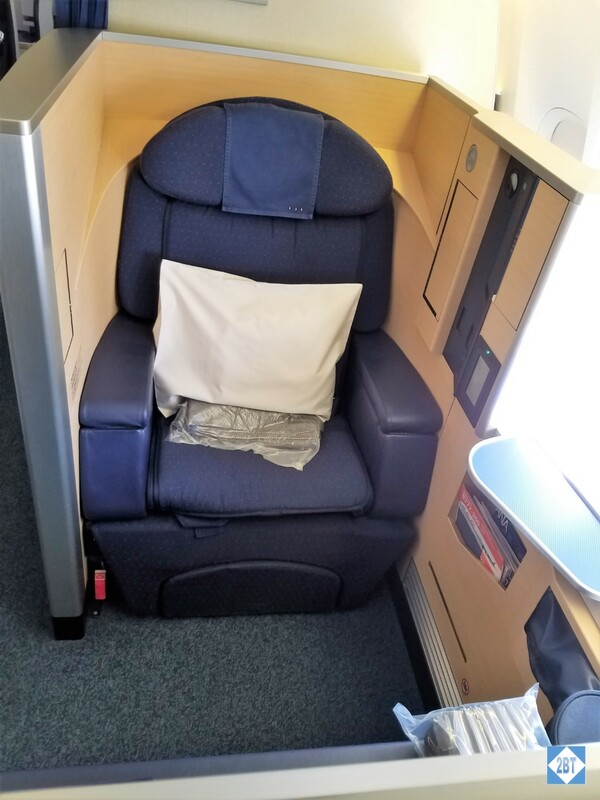 I had booked this leg of the trip using my Miles & More points, hoping that shortly before I left Budapest, Lufthansa would open up space and I’d be able to fly first class via Frankfurt. But the space never opened up so I had to “settle” for business class. Poor me. My friend and I shared a taxi to the airport even though she was returning on Turkish Airlines and her flight was nearly three hours later. Sure enough, when we arrived she couldn’t even check her bags as no one was at the Turkish counter that early. So we said our goodbyes and I headed through security to the lounge. The lounge I was directed to was very small and nearly full. It did have free wi-fi but didn’t even have its own restrooms. It was a contract lounge, not a Lufthansa lounge and while it was better than sitting the terminal and had some free beverages, I was completely under-whelmed. Eventually though we boarded our flight for the relatively short flight to Frankfurt, which was very uneventful. Like many intra-Europe flights, business class was simply economy with blocked middle seats and nice service. We did get an edible, if unremarkable breakfast. Before long we were in Frankfurt where I was able to enjoy the lounge for a couple of hours. When I got to the gate, I admit I was surprised. Where was the German efficiency I so appreciate? With Frankfurt being a Lufthansa hub, there are naturally a lot of people with elite status who are not flying in First or Business class. So they hover around, waiting for priority boarding to be called instead of queuing up. I don’t think I’ve ever seen priority boarding be so chaotic, though my experience is not that widespread. At any rate, eventually I boarded through door 1L and found my seat. As I was traveling solo for this leg I selected a seat in the middle section so I wouldn’t have to worry about climbing over anyone or being climbed over. Waiting for me at my seat was a blanket and this pillow. I loved the color scheme.